Those aren't bad. Some are obviously just modifications of the ones that were on the Canes site earlier, but still not bad. 1. For your NFL Wallpapers, show the Bengals some love. 2. One of the wallpaper for the Canes (I think in the 3rd set), where it's an overhead of RBC Center, find one where the arena is full. It's depressing to see 13 minutes before gametime and only 30 people in the arena. Yeah, I'm not trying to take full credit for some of those: I look for good pictures, d/l them, and edit them into wallpapers. I don't have enough knowledge with PsP to make things completely from scrap. So, I can only use what I find on the net, which isn't much. Mostly, I just erase pictures' backgrounds and copy/paste them onto other pictures, and maybe do a little color editing. The point is this: if you like how it looks, make it your wallpaper, if you don't like them - then don't. I am not trying to brag about them, I'm just donating them to other fans. If I can get a good team picture of the Bengals I'll do something with it... but I haven't done many nfl teams lately (I've been focusing on the Canes and Panthers). I do those when I have nothing else to do. I really like some of your work. 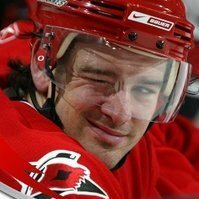 Of course, I'm partial to the Erik Cole and Cam Ward's. lol! Do you mind if we use them on a myspace page?? Do you mind if we use them on a myspace page?? Of course not, I made them for everyone. And don't worry about giving me credit or anything, I don't care. Just enjoy them! Since it's one day till Opening Night, I grabbed the center ice face off one. Thanks, jb_online! Thanks! I used one and I love it! You can check it out @ http://www.myspace.com/canesgrl26' target="_blank">www.myspace.com/canesgrl26[/post] to see how it looks. Hey all, I am new to the forum but not new to the Canes! I had a hard time finding wallpapers a year or so back (wallpapers for my favorite sports teams - Carolinas Panthers and Hurricanes), so I decided to start making my own. Now, I have quite a few under my belt... check them out Here[/post]. Let me know what you think, ok? Nice. I liked the LaRose one, the last one on Set 2, I took that one. Thank You. how about making me a commodore one? Such cool wallpapers! Thanks for showing them and letting us use them. What would you like? I might be able to do something for you. Thank you for posting the link, some of the photos have been a wonderful source of amusement for myself and friends of mine. Thank you, thank you! I have been looking for decent Hurricanes wallpapers! Great job! My new comp background is def one of your Cam Ward ones Looove it! Great Wallpapers... could you do a couple college ones? Like... a UNC one??? Pretty Please!? But, I have added some Canes wallpapers... so check em out if ya want. Thanks again for the comments folks, I appreciate them a lot! oh wow! nicely done my fellow caniac!! i loved them all!! well done! I have added two more galleries. U like? HERE is a link to my "Sports Wallpapers" page. I have added a couple more galleries of Canes Wallpapers for ya'll to enjoy... so check em out and let me know what you think.